Shagun In Trouble! Yeh Hai Mohabbatein 24th December 2015 Show Written Details! Shagun In Trouble! Yeh Hai Mohabbatein 24th December 2015 Show Written Details! : One of the most popular TV serial “Yeh Hain Mohabbatein” seems out to be a socio-family drama in its starting point but gradually the soap opera turns out to be the horror come thrilling one. In the soap we saw finally Shagun caught by the goons of her rival Ashok Khanna but the lady somehow save herself from him. Despite she again sees her in the same place means she doesn’t know how but she arrives in Ashok Khanna’s house. Ashok Khanna didn’t see her till now. And Shagun knows that she is in Ashok Khanna’s residence so she hides. Anyway, Shagun struggle a lot despite she is injured as well pregnant but finally evil Ashok finds Shagun and follow her to catch her. Shagun run away from Ashok to save herself from being catch by Ashok which leads to her falling in the river. Somehow Ishita get to know about it and she follows the henchmen of to save Shagun and in this process Ishita saw that Shagun fell down in the water. Shagun was about to drown suddenly Ishita arrive there in the accident spot. When Ishita saw that Shagun is drowning, Ishita jumps on her over the river to save Shagun. 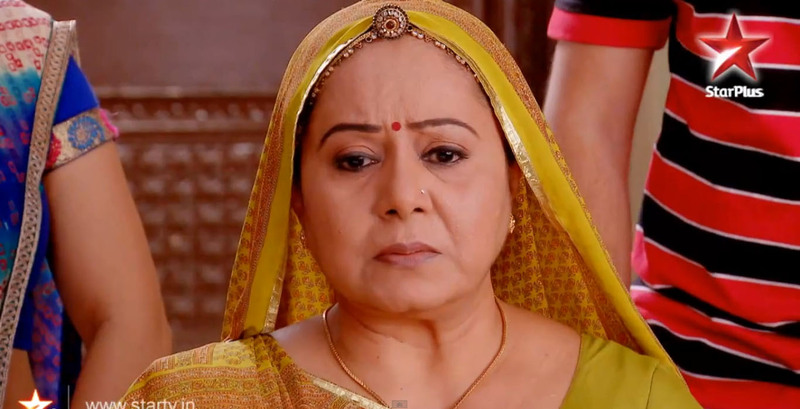 Ishita somehow managed to save Shagun’s life but in contrast Ishita had been attacked by a crocodile in front of Shagun. Shagun can’t do anything to save the life of Ishita as she just gets conscious now. Ishita just cried and scream when she saw the scene.